There are still 7 races to go in the 2018 season, but just as teams begin to work early on the cars for the next season, I thought its worth looking at who are the possible contenders for the Drivers’ Championship for 2019. This becomes even more interesting when you consider all the changes in the driver line up. F1 has turned out to be a 2-man battle. 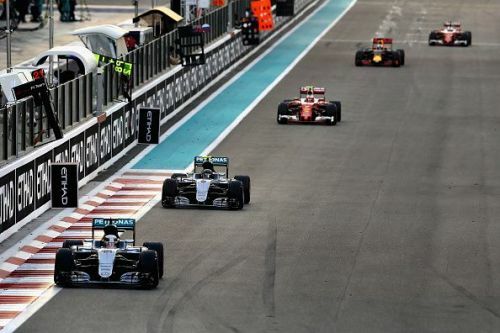 Whether it was Hamilton Vs Rosberg or Hamilton Vs Vettel, its been a straight fight between two drivers. What’s surprising is that in the current season, Ferrari are as fast if not faster than Mercedes. Yet, its only two drivers and not 4 competing for the championship. A lot of that has to do with the fact that teams clearly decide their #1 driver these days and preference is given to them. Come 2019, the same trend is likely to continue. With significant engine changes slated only for 2021, it would seem that Vettel Vs Hamilton will be the theme for next year as well. There are rumours that Charles Leclerc has been signed for Ferrari and it would be the end of the road for the Kimi Raikkonen. The same is not confirmed yet, but even if Kimi can retain his seat for the next year, Vettel will be the go-to man for Ferrari. Red Bull, in the past 2 seasons, have shown that they have the pace to win a race, but lack consistency. They have also suffered with the Renault engine, which has been unreliable and not as fast as the Ferrari or Mercedes engine. Red Bull will now be partnering with Honda for their engines from the next season, and this is a big gamble for them. They will be going back to the drawing board and seeing them compete for the championship seems unlikely. Even though they have a driver like Max Verstappen who could be a potential champion, they probably don’t have the car to deliver the necessary results. For Mercedes, who will be favourites with Ferrari, once again it would be Hamilton who would be preferred over Bottas. This can be gauged from Toto Wolff’s statement, calling Bottas, the perfect wingman. This, after the Finn, signed a fresh 2-year deal with Mercedes. Amongst the top runners, we are left only with Daniel Ricciardo. There is no doubt that the Aussie, is definitely champion material, but as we have seen in F1 over the last few seasons, being a good driver is not enough. One needs a fast car to deliver really. With Ricciardo moving to Renault, chances of him competing for the championship are slender. Renault could be the best amongst the rest, but they don’t really stand a chance of competing against the likes of Ferrari or Mercedes. 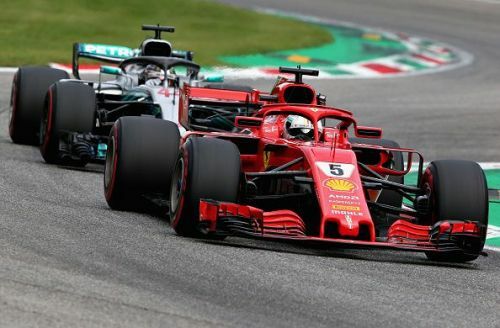 It clearly looks like a battle between the Brit representing the Silver Arrows and the German representing the Prancing Horse. Whether it will be a battle for 5-5 or 6-4, only time will tell.